The rising demands in maintaining human wellness through diet have greatly promoted the interest in plant-based or vegetarian diets all over the world. Several government agencies, health/nutrition organizations, and health professionals are emphasizing that regular consumption of fruits and vegetables may provide health benefits and weight management. Fruits and vegetables are recognized as rich in nutritional components, such as fiber, protein, healthy fat, and micronutrients including vitamins, minerals, and phytochemicals. A growing body of scientific evidence supports that phytonutrients may play positive roles in preventing certain diseases, mainly aging-associated diseases. Furthermore, several benefits are associated with the consumption of vegetable-based fermented foods such as cereals, fruits and starchy root crops. It is noteworthy that microbial activity increases organic acids, decreases some toxic and anti-nutritional factors, and reduces amounts of sugars, resulting in a lower glycemic index. Microbial fermentation plays also a crucial role in safety traits of foods and beverages enhancing their sensory properties and extending their shelf life. Vegetable waste, which contains proteins, fats, natural colorants, enzymes, antimicrobials and antioxidants, represents a relevant source of natural food additives or supplements with high nutritional value. Furthermore, complex value-added chemicals such as phytochemicals, prebiotics, polysaccharides and polypeptides can be obtained via microbial, in an eco-friendly way. The present Research Topic aims to recruit high-qualified scientific achievements on the impact of fruit, vegetable and/or novel plant based matrices on human health, sharing both successes and failures of original research and meta-analyses studies. 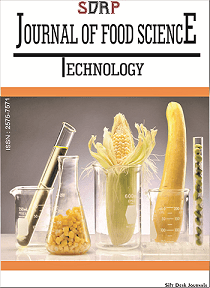 We welcome authors to contribute with original research as well review articles, in several connected fields, such as agriculture, food-microbiology, -processing, -chemistry. • Consumers’ behavior studies and regulatory suggestions. We believe that such an important Research Topic will attract the interest of several scientists and it will expand our current knowledge in fruits, vegetables and novel plant based matrices as source of nutritional and microbial value for healthy food.